Happy Needle and Thread Thursday, y'all! I'm happy to report that after sewing up a mountain of green and gray scraps, I've turned them into this finished quilt top. One of the things I love best about using the structured improv methods from my book Stash Statement is that even the simplest patterns are given a little extra pop when they're made with lots of scrappy goodness. My book contains twelve original quilt patterns, but when I wrote it, I definitely wanted to teach a technique that could be applied beyond those twelve. 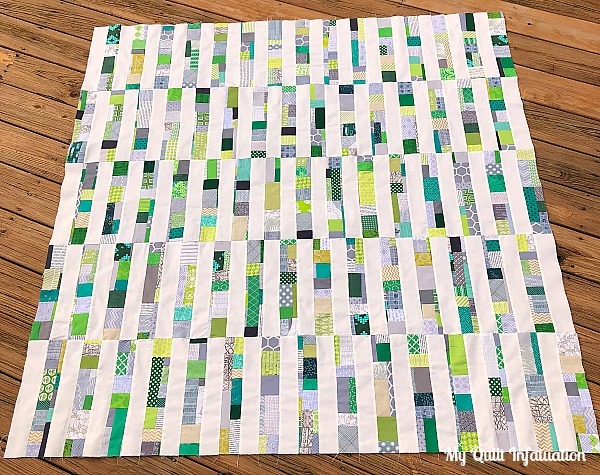 As far as patterns go, this strip quilt couldn't be any more basic, but when made with scraps, looking at it is like a little treasure hunt. If stash-busting is one of your resolutions, my book is a great place to start! Check it out HERE! I used Kona Bone in the background, and the creamy white keeps the palette very soft and natural, even though some of the greens are very vibrant. I'm traveling to teach in Houston this week (in fact, as you read this, I'm already there), but when I get back, finishing this one is first on the agenda. Last week's party was so awesome! 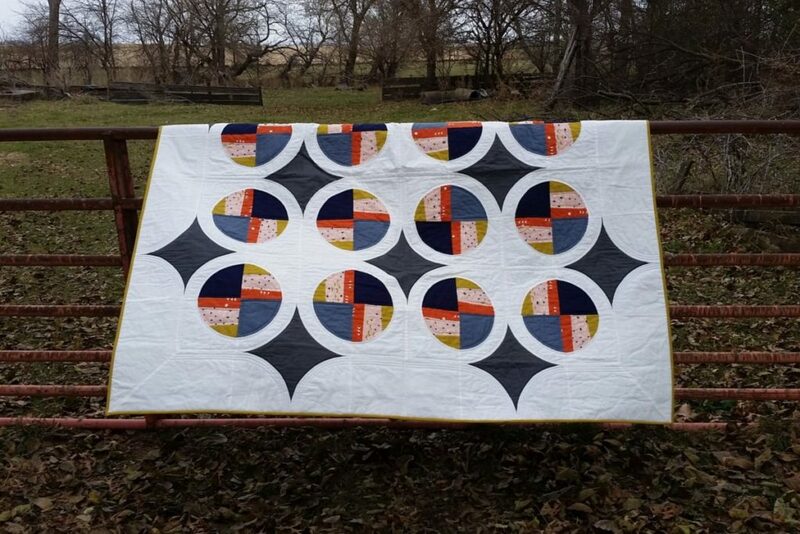 I can't help but share this Classic Meets Modern quilt by Lori at Crossquilt. It is made with Allison Glass modern batiks and it is just stunning!!!! 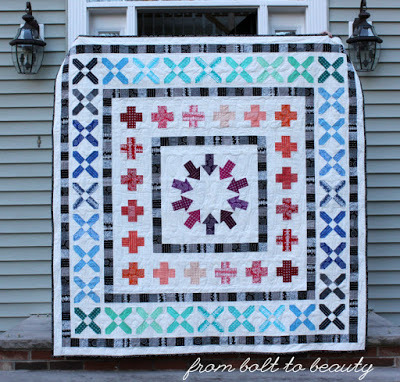 She improv pieced the backing, and you definitely need to head to her post to check it out. Something Rosemade also linked up her Classic Meets Modern quilt. It is just amazing how different fabrics give the quilt an entirely different look. 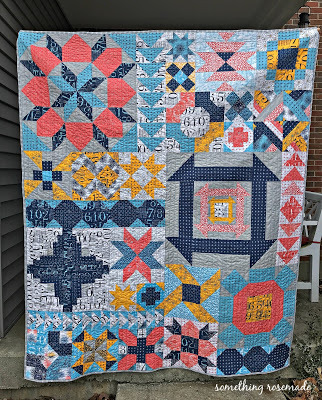 If you're a regular reader, you know that the CMM quilt along was a block of the month sampler that I hosted last year. You can find the pattern HERE, and you can see the other finishes HERE (including my second one). Okie dokie, friends! Let's get our party started! Have a great time in Houston! Kona Bone is a great choice to play against your palette. Kelly, that is such a great idea! The greens, grays, and bone make a beautiful quilt! 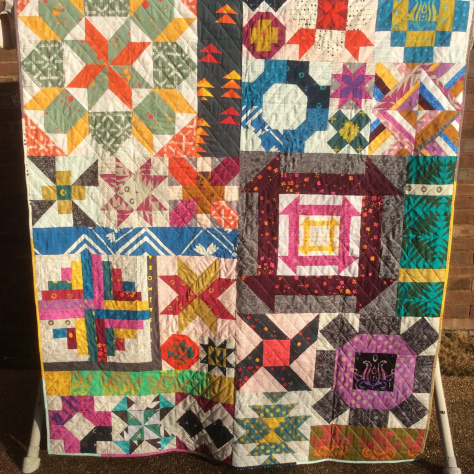 Another great quilt, Kelly!! I love green and grey together and the Kona bone is perfect with them! Welcome to Houston!!! Weird weather we are having right now! Have a great time and safe travels back home! I would say this is pretty darn amazing! Great idea for busting your scraps...I'm inspired! I really love this one . . . simple yet very very interesting. Of course greens are my favorite. : ) Have fun in Houston. 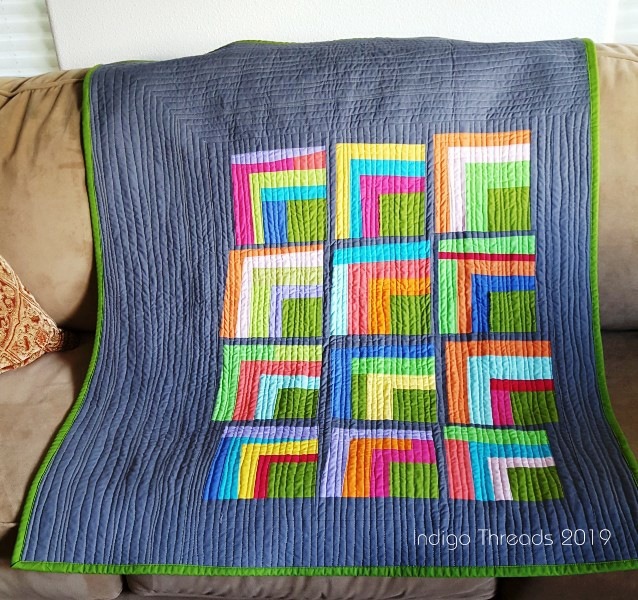 I absolutely LOVE Crumb quilts! The clean lines of your newly completed top is a fresh take on scrappy. Nothing chaotic about your lovely quilt! I love simple designs as well and this one looks pretty cool. Using all those brightly coloured pieces placed against the bone makes the whole piece vibrate. Just beautiful. 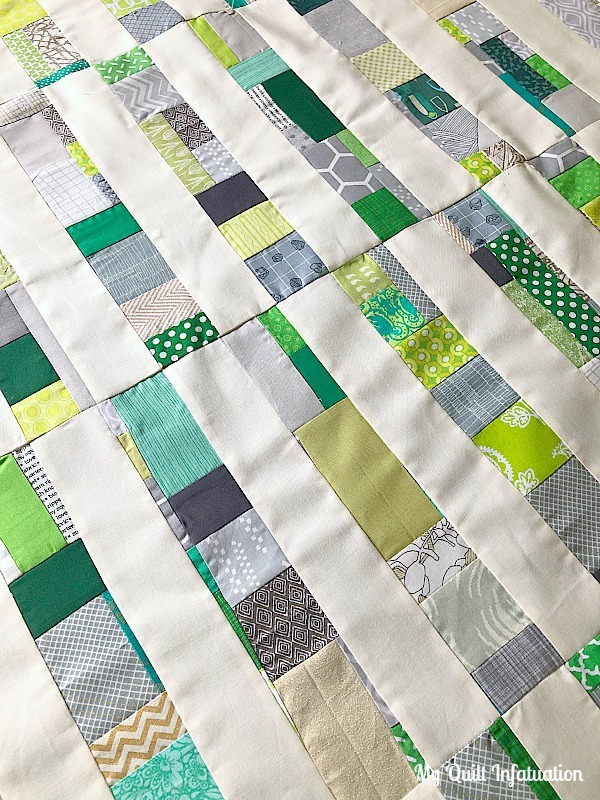 i love your green scrappy quilt, kelly! and youre right that scrappy quilts are like a treasure hunt. they're so fun that way. i can sit under and look at a quilt like this for a very long and comfortable time! nice work. It looks great. Have fun teaching. Hope you had a great time in Houston. Your green top is wonderful! Can't wait to see the finish. Thank you for sharing my Modern Fans.